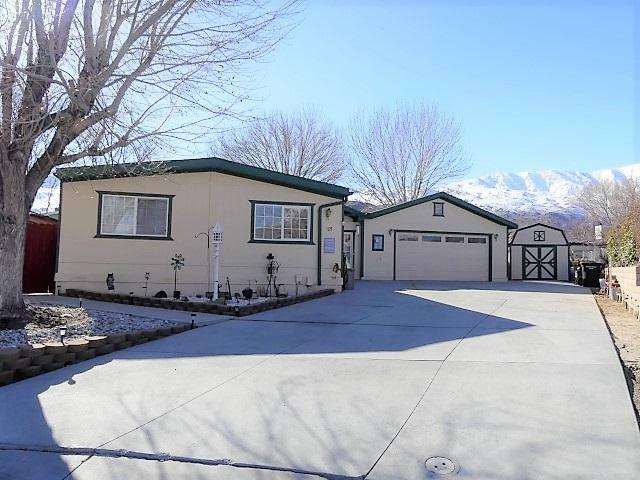 Large 4 bedroom, 2 bath 1,644 square foot home. Living room, family room, 2 car garage with workshop areas and bonus utility room with sink. Evaporative cooler on thermostat, Kerosene heat, new exterior paint, new fence, storage shed, lots of off street parking and storage areas. This home sits at the end of a cul de sac in a quiet neighborhood.